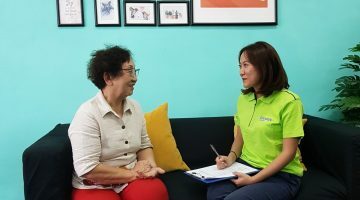 Montfort Care – Montfort Care is a network of programmes committed to improving the lives of individuals, families and the community facing transitional challenges. The GoodLife! 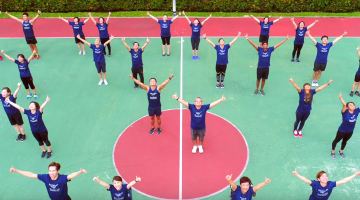 Workout is an initiative by Montfort Care to encourage seniors to adopt an active lifestyle and make more friends, thus forging closer bonds in the community. Besides being wheelchair-friendly, the workout was endorsed by a physiotherapist, thus ensuring that it is beneficial and safe at the same time. Montfort Care, with its network of 3 Family Service Centers and 7 GoodLife! Centres, will be training all its client-facing staff to equip them with the knowledge and skills to advocate, initiate, facilitate and document ACP conversations. GoodLife! 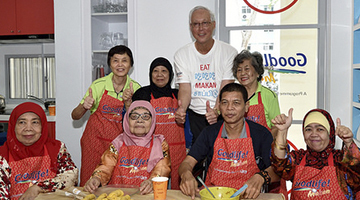 Makan, a brand new programme by Montfort Care that encourages stay alone seniors to come together, to provide for the community, was officially opened by Guest-of-Honour, Emeritus Senior Minister Goh Chok Tong.